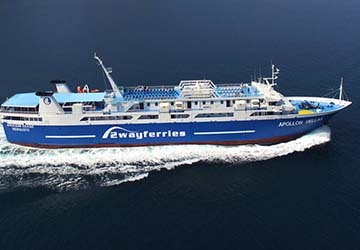 Saronic Ferries connects the namesake archipelago lying just off the Peloponnese region of southern Greece and the port city of Piraeus, close to Athens, offering routes to the islands Aegina, Agistri, Methana and Poros. 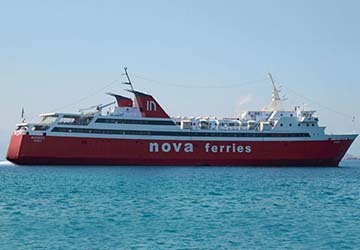 The Saronic Ferries fleet comprises four large ships named Phivos, Achaeos, Apollon Hellas and Poseidon Hellas. In order to cope with the islands’ popularity for short excursions and day trips, each ferry has the capacity for over a thousand passengers and a hundred cars, which means Saronic Ferries has everything you need for a comfortable sailing across the Saronic Gulf. Phivos underwent a complete refurbishment in 2005 and now boasts five separate lounge areas, three bars and plenty of open deck space for those magnificent Mediterranean views. Achaeos is the fleet’s most contemporary vessel, built in 2007, offering a wide range of hi-tech amenities and a luxuriously decorated interior. Apollon and Poseidon Hellas, whilst being the most conventionally designed ferries, have the largest passenger capacities and spacious outdoor seating areas, too. 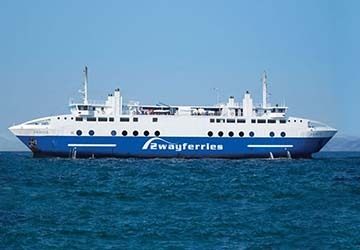 View Saronic Ferries timetables, prices and book Saronic Ferries ferry tickets with directferries.co.uk. Looking for an alternative route or ferry company to fit your plans? Don’t worry, we’ll also compare Saronic Ferries with alternative ferry companies in your search to help you choose.